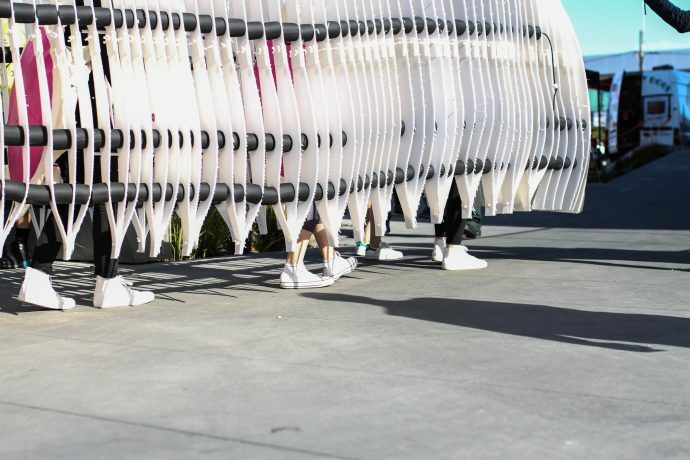 The social sustenance team from Auckland University were tasked with building a moving structure for their architecture project. After approaching Potter Interior Systems for advice on materials they would recommend and K-flex was the product selected to place between the panels. The final structure was 8m long and 2.4m high and we featured approximately 80m of K-flex pipe. 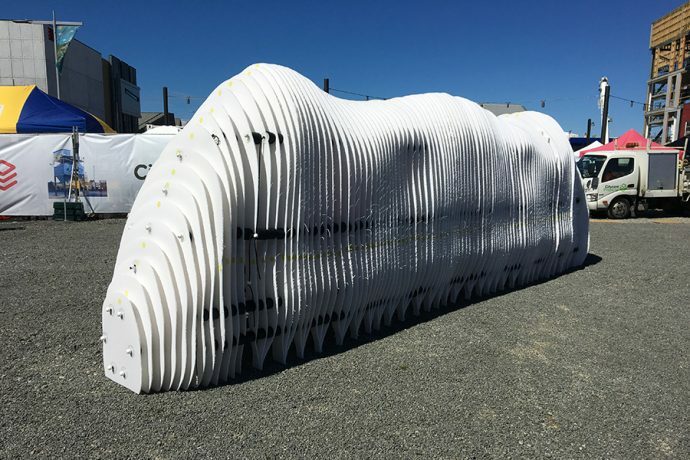 The overall form was held together with K-Flex Insulation Pipe threaded onto bungee cord and strung through each corflute rib to take on an organic shape. The organic “creature” allowed the public to create different interpretations of the structure – A Caterpillar was most commonly used. 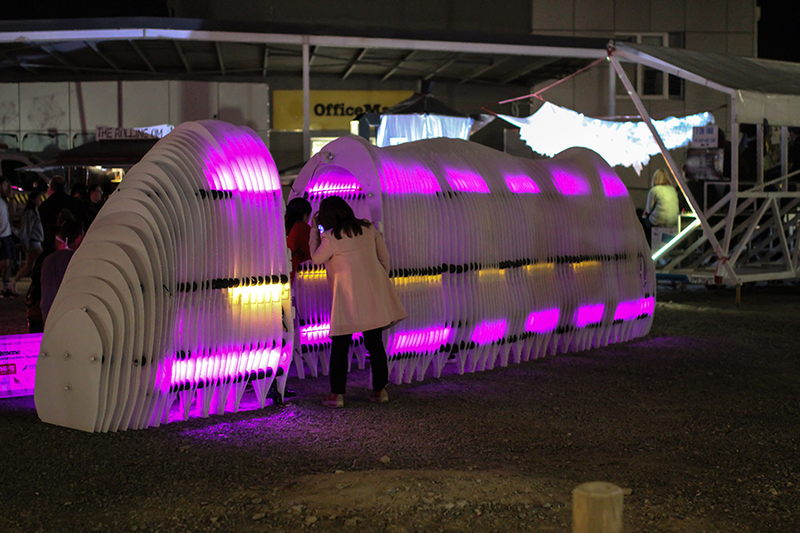 The sponsorship of the K-flex insulation pipe was an integral part of the projects success and helped to space out the corflute ribs whilst still allowing the installation to move and wriggle through the FESTA crowds. It was an amazing day, and it was a brilliant opportunity for the students to learn about materials in construction.